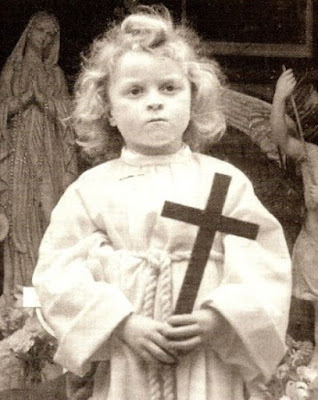 "The Blessed Virgin Mary did not die; She ascended to Heaven with Her body and soul" -Message from five year old Gilles Bouhours given to Pope Pius XII during a special private audience. 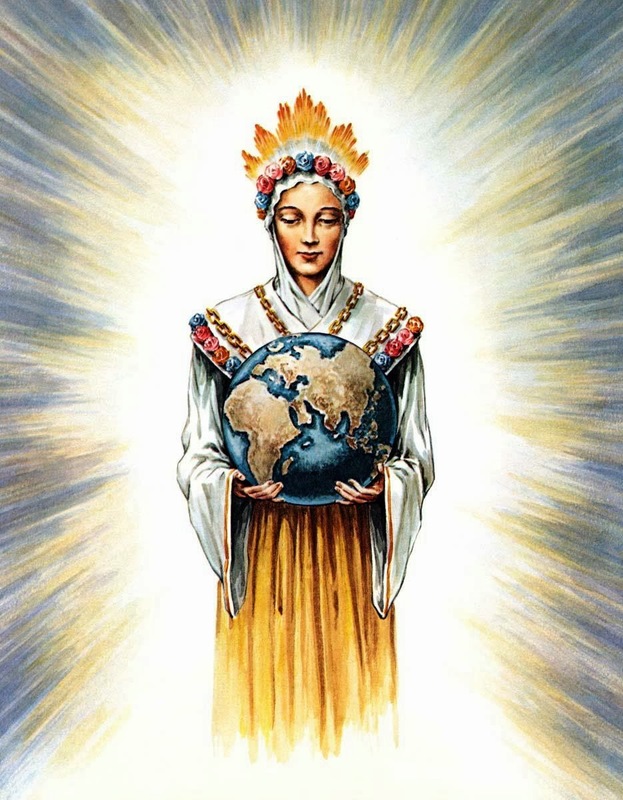 In 1950, as Pope Pius XII was preparing to promulgate the dogma of the Assumption of Mary into heaven, he privately prayed to God for a sign, to confirm that the proposed dogma was indeed God's holy will. This is the story of what was believed to be heavens remarkable answer to the Pope's prayer. Gilles Bouhours was born in Mayenne, France on November 27, 1944, on the feast of the Miraculous Medal. He was the third of five children. His father, Gabriel Bouhours was a plumber, and his mother Madeleine was a housewife. Remarkably, God intervened very early in Gilles' existence. At the age of nine months, he was diagnosed with meningoencephalitis (meningitis with encephalitis), an illness that was often fatal at that time. The local physician, Dr. Dives, who was first consulted then sent them to a specialist in Bordeaux. The diagnosis was the same. In that year, penicillin was just starting to be tested on several patients with meningitis in Germany and in the USA, but for little Gilles in France there were no really effective medicines to combat the disease. A Little Sister of the Poor nun who was a friend of the family gave the family two relic prayer cards to place under baby Gilles pillow, while praying for his healing; one was a relic card of St. Therese of the Child Jesus (1873-1896), and the other was of Father Daniel Brottier (1876-1936), of the Congregation of Saint-Esprit, a former missionary in Africa and director of the Orphelins Apprentis d'Auteuil (home for orphans) in Paris. Three nights pass without any noticeable improvement being felt. "A redness in the form of a "T" (Cross) was visible on each cheek" later explained his parents. Add to all this another strange fact captured their attention: While they found the image of Father Brottier intact under baby Gilles pillow, that of St. Therese of Lisieux was missing its relic--only the two red threads holding her relic were found after a through search of the crib and the floor. For Madeleine and Gabriel Bouhours, this was a sign that the "little Thérèse" had interceded with God for the healing of their child. Events later in Gilles life would later seemingly confirm this conclusion. In September 1947 the Bouhours family was living in Arcachon, France. Little Gilles was two years and ten months, and is described as your average child, seemingly no different than other boys of his age. On September 30, 1947 he reportedly had his first appearance of the Virgin Mary, with more to soon follow. 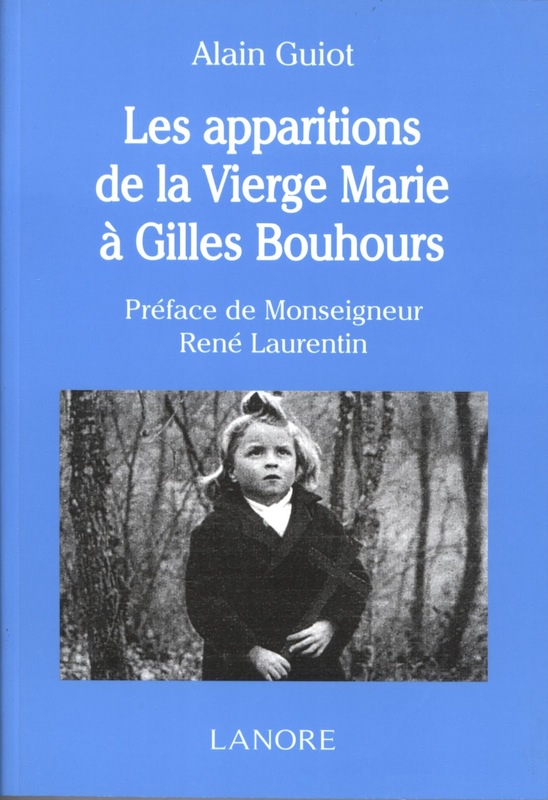 The child states that the Virgin Mary asked him to go to a place called Espis, (France) where there were news reports of three children--and soon afterwards a 40 year old man--who had reportedly been seeing the Virgin Mary since one year prior (1946). His parents were uncertain about Gilles visions, but his father manages to locate the place on a road map, and he decides to take a ride there by himself to visit the place, as requested by the Lady in Gilles apparition. Located in the department of Tarn-et-Garonne in the Diocese of Montauban, Espis is the place where in August 1946 there began reports of alleged apparitions of the Virgin Mary. The events were soon investigated by the Diocese, and on December 12, 1946 the local Bishop first related his initial opinion that the apparitions "were not true". While Bishop Théas initial judgment pertained primarily to the other visionaries of the place, Gilles later was swept up in the affair, and was essentially implicated because of his association with the place, as the reader shall soon see, but nevertheless the Pope would soon receive little Gilles on two occasions, as the reader will also soon see. On August 22, 1946, Claudine and Nadine Combalbert were watching a flock of geese in Bois d'Espis. On this day they reportedly suddenly saw a "lady dressed in black," with a "dress adorned with daisies." The next day (Aug. 23) the "Lady" appears to the two of them again, and this time a third child is present. The news soon spreads across the countryside like wildfire. According to her testimony, in the garden of the family house she saw the Blessed Virgin in the aspect of Our Lady of Lourdes. When Gilles father Gabriel and three of his children, including Gilles arrive, only the latter reportedly sees the beautiful Lady. He declares: "Our Lady is on the water. She splits the water with a stick. I see two sticks in the sky. " He describes Mary with a "hood" meaning that she is wearing a veil over her head. He was asked to explain the "sticks": "This is how the sticks," he retorts with his child vocabulary, using his hands to try to explain what in reality was a cross. Then he goes on to describe something terrible: a "yellow smoke" rises in the sky and Virgin "weeps". 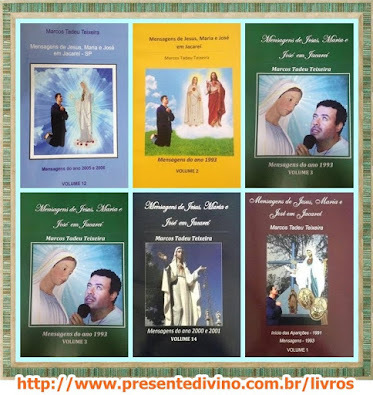 Thanks to the testimonies gathered on the spot and the notes taken immediately thereafter by the parents of Gilles, we have in pretty good detail the various purported appearances of Mary with their child on this day, and on many occasions in the future. 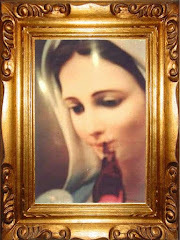 A few days later on October 2, 1947, Gilles reportedly sees the Virgin "bleeding" abundantly. "Did you get a boo boo?" he asks Her innocently. "Did you fall into some sticks? Here is my hankerchief […]. 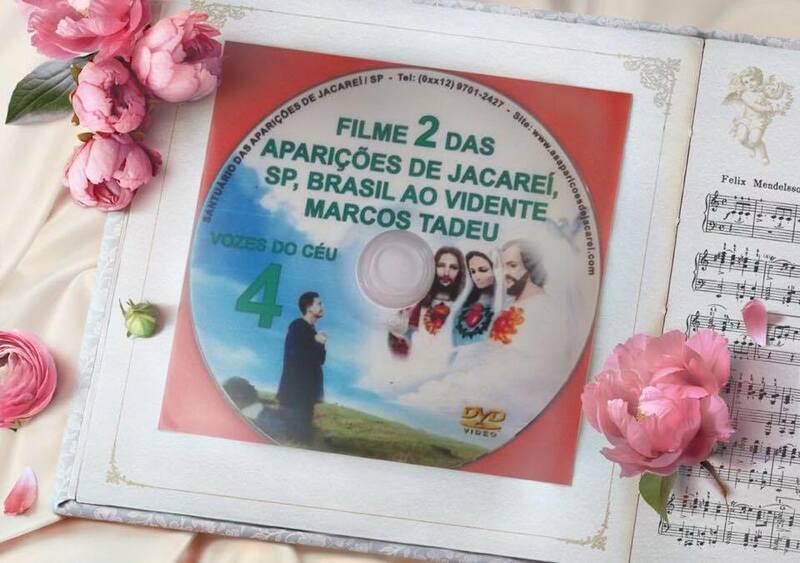 Blessed Virgin, come next to me, give me your hand [...] Dad and mom are here" (referring to his parents). The freshness and child like simplicity of such a dialogue is striking and seemingly correspond to other apparitions of the Virgin Mary to children in other places. On the 4th and 6th of October, 1947 the Virgin reportedly appeared briefly to Gilles. On October 13th (Feast of Fatima), at around 5pm the Lady in the apparition returns for the first time to the subject of Espis. "Oh! The Blessed Virgin!' Gilles states. The apparition asks him to go and pray in the woods (at Espis), in a place where a "spring" will later flow. At 6:30 pm, the Lady appears a second time to Gilles, this time surrounded by about thirty people. The Lady in the vision asks him to present to Her the rosaries that some people had given to him, that She might bless them, and She then asks that the people pray together a decade of the rosary for the intentions of the Sacred Heart of Jesus. On the 8th of December 1947, he sees a "great cross" in the heavens. Two days later, on December 10th, St. Therese of Lisieux reportedly appears to him with a big smile, and according to Gilles, St Therese "tosses flowers towards him", which of course calls to mind St Therese's promise before her death that from heaven she would "let fall a shower of roses." Gilles visited Espis for the first time on October 13, 1947, and the Virgin Mary leads him to a place in the woods where a spring would begin to flow. On January 13, 1948, the Virgin appears to Gilles twice in one day, and asks him to pray to the Sacred Heart of Her Son. On February 8, several "crosses in the sky" are observed by the child. On February 10, 1948 the Bouhours family go on pilgrimage to Lourdes. Gilles has no visions the whole time they were there. This actually helped to further convince his parents and others that there was no external suggestion involved in his visions. While visiting the entire place of Lourdes, Gilles said that all of the various statues and representations made of the Blessed Virgin were indeed beautiful, but "...there are none near as beautiful as I see Her". On February 13th, in the place of the future spring he reportedly sees Mary weeping "tears of blood". Gilles then asks his father for water, and after receiving a little holy water in the palm of his hand, he stretches out his hand, and the people present can see Gilles' little hand do as if he was wiping something. Again he asks for water, and the operation repeats itself as if Gilles was wiping the other cheek of the Blessed Virgin, during which time those present did not cease to pray. The apparition ended when Gilles had reportedly finished wiping away the tears of the Blessed Virgin, and the following day She kisses Gilles tenderly in another vision. On March 13, 1948, Gilles declares "I embraced the Blessed Virgin, but I did not kiss Her." In fact, that spring of 1948 brought some very notable events. On April 13, Gilles reportedly sees the Virgin Mary three times in Espis, and then in May he sees Her in different places--in his room and in the garden of the family house, etc. and "Rains of crosses" are described by the toddler. 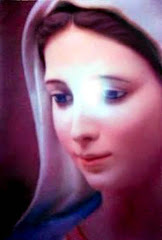 On June 4, 1948, Gilles informed his family concerning the identity of the apparition, saying She was "Holy Mary, Mother of God ", and on June 10th "Holy Mother of Graces". While She often appeared to Gilles on the 13th of each month, June 13 remains a day without appearance. But the family, anxious to obey recent decision of the local Bishop on May 4th concerning the visionaries at Espis (more info about this below), the family decides not to go to Espis, and Gilles reportedly receives a confirmation of this decision in an interior locution. On the 24th of June, he said to his mother: "After Sunday the Blessed Virgin will come to see me in our garden. Not today, she does not have time!" "Well, She is not making soup! (apparently referring to his mothers task at the time) She puts flowers in heaven. " Feeling compelled to intervene because of the news reports and excitement being generated by the various visionaries at Espis, the diocese conducts an investigation, and on December 12, 1946, Bishop Théas, the then Bishop of Montauban, writes in a private correspondence that these appearances "are not true" and that it is all an "Illusion", and six months later, on May 4, 1947, the bishop publishes an official negative judgment, suspending "a divinis" any priest who celebrates Mass there. Around this time, the Lady confirms the bishops decision by telling Gilles that no Masses should be celebrated in Espis, out of obedience to the local Bishops recent decision. After the departure of Monsignor Theas for the diocese of Tarbes and Lourdes, his successor, Monsignor Courrèges, establishes a commission of inquiry on February 1, 1950. Its conclusions are in summary "Auto suggestion and hallucinations " excluding any possibility of a "supernatural origin". Although Gilles was not one of the original or principle visionaries at Espis, he was nevertheless caught up in the affair due to visit that one of the principle visionaries had made to his home, and also the subsequent visits that he himself had made there after the bishops decision, which it should be pointed out was due to the expressed request by the Lady Herself in one of his early visions. Essentially he was "guilty by association", as the expression goes. "I see big button [the earth] and, above, a big beast, like a lizard with a big tail and big legs wrapped around it. Not far away, I see a gentleman with feathers on his back." Without perhaps knowing it, Gilles has just described, in an original way, the archangel Saint Michael and the figure of satan influencing this world. On that day, Mary, dressed in blue but without a veil, asked him to follow the procession organized by the pilgrims of Espis and to sing "Chez nous que queen". In the weeks that followed, the Virgin asked him "many prayers." One thing now occupies the little mind of Gilles: To go to Rome where "the one who replaces Jesus on earth" lives [the pope]. According to the testimony, in early 1949 the child participates in Lent in a remarkable manner, considering he is only just four years old. On November 13, 1949, the Virgin, after asking for prayers for all the sick, said, "Gilles, you must go to Rome to see the Pope. " So, a second trip begins to be organized, but soon afterwards some bad news reaches the family by post: because of the local Bishops decision concerning the various purported apparitions at Espis, it was stated that the Holy Father can not grant a second hearing to Gilles. Eight days later, after the Lady of the apparition again asked Gilles to go to the Vatican to inform the pope of the "secret", within days the various roadblocks seem to mysteriously disappear. Somehow, the obstacles were cleared at the highest levels of the Vatican. "At around 10:30am, we entered the Vatican, where prelates of His Holiness bring us into a room. A Bishop said "Put the child on the chair. We will leave him alone with the Holy Father. " As soon as the latter entered, the prelates withdrew, and Gilles remained alone with Pope Pius XII. Pope Pius reappeared shortly afterwards with Gilles, who joyfully clapped his hands and cheered: 'Vive le Papa!' After the audience, and now freed from all constraints, the dear child revealed his secret to several people." On June 10, 1950, a journalist from the 'Giornale d'Italia' published a long article entitled: "A little Frenchman of five years speaks to the Pope." This article quoted the famous "secret" of Gilles: "The Blessed Virgin Mary did not die; She ascended into heaven with her body and soul." 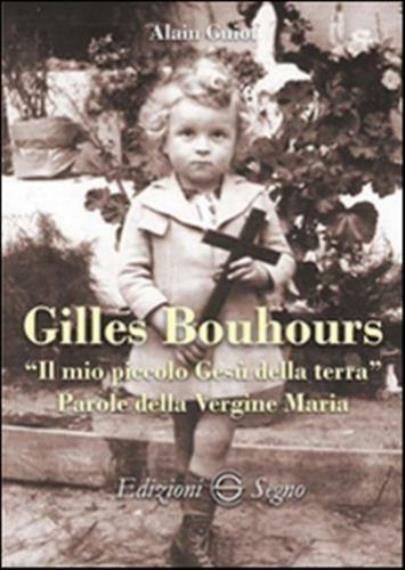 Other notable persons met "little Gilles" on the occasion of his trip to Rome, particularly Fr. Gabrielle Roschini, well known for being a great mariologist and professor at the Lateran University, and expert at the Second Vatican Council. At this time of meeting with Gilles he was one of the key individuals charged with preparing the dogmatic text of the Assumption. He describes his interview with Gilles: "I do not know what impression was produced on the Sovereign Pontiff concerning the "secret" of the Blessed Virgin. Speaking with the child before the pontifical audience, I had found little Gilles hermetically closed, and numerous other persons had not been successful either. He defended himself by saying that the Blessed Virgin had commanded to say it first, before anyone else, to the pope. And little Gilles did so. After the private audience he revealed it to me, as well as to several other people." 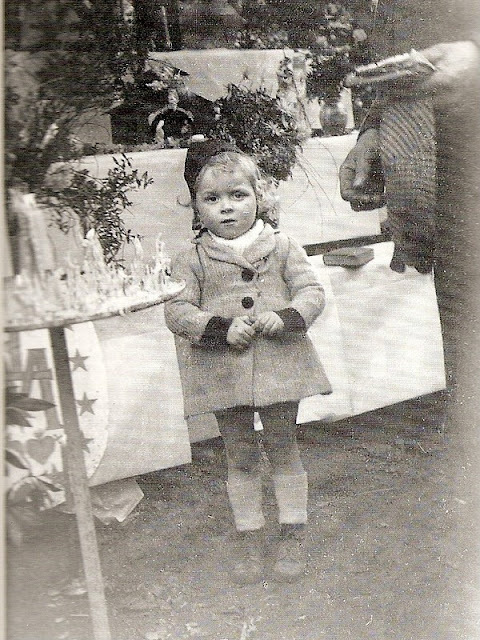 Subsequently to Gilles private meeting with the Pope, several articles appeared in various newspapers, thus the case of "Little Gilles" became known. The profound accord between the content of this sentence given by Gilles to the Pope and the dogma of the Assumption, as well as the proximity of the dates between the hearing granted to Gilles (May 1, 1950), and the proclamation of this dogma on August 15th, 1950 could not fail to strike deeply into the minds and hearts of many. Remarkably, according to several well-informed sources, it was reported that Pope Pius XII had in fact asked God for a sign to confirm that the proposed dogma of the Assumption was in accord with the will of God. And so it was that members of his close entourage, as well as several people outside the Vatican, did not fail to identify this "sign" as being the private revelation of the child. One can only assume that the Pope did also. While the mission of Gilles was realized in his delivery of heavens message to the Pope, from 1950 to 1958 Gilles continued to be visited by the Blessed Virgin at regular intervals. On May 13, 1950, he announced: "On June 13, I am to wear a white alb, and I will have to walk barefoot, like the little Jesus, for the conversion of sinners." "He was often available for any sacrifice, small or great, in order always to please the Blessed Virgin or the "Little Jesus". He often deprived himself of sweets and he helped at home even when he would have preferred to come play with us. Gilles was often for us an example to follow both spiritually and in everyday life; he accepted everything and offered to the Good Lord and the Blessed Virgin all his sufferings, especially during the winter period when his hands and tip of his feet were deformed by very strong chilblains, but he never had a word to complain." "Gilles, soon I will not come to see you anymore". The apparitions detailed in this article are only a brief highlight and summary of some of the purported visions given to Gilles. There were in fact many more apparitions than what is summarized here. While it was the Blessed Virgin Mary that reportedly appeared to Gilles most often, the were quite a few times where She was holding the Child Jesus in Her arms, and this is why Gilles often referred to Jesus as "Little Jesus". He also had visions of St Joseph, St Therese of Lisieux, and St Bernadette, each of who accompanied the Blessed Virgin on different occasions. When he saw Angels, he described them as being dressed in either white, blue or pink. 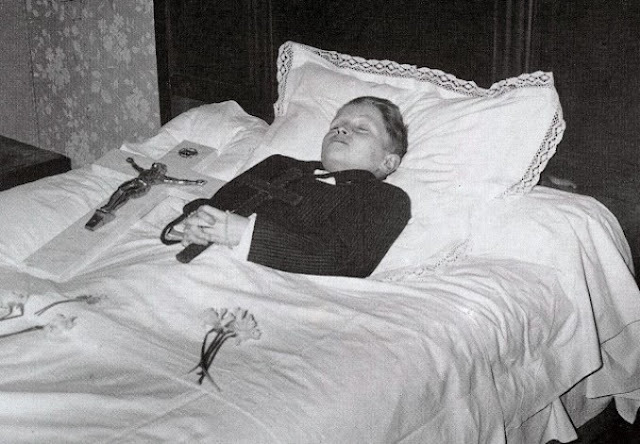 On August 15, 1958, the Virgin appeared to him for the last time. A year and a half later Gilles passed from this life to eternity on February 26, 1960. He was 15 years old. He died after a short illness of 48 hours. Some in the medical field said it was a crisis of uremia, while others said it was acute asthma, but ultimately there was no precise explanation. Yet another remarkable thing happened at the moment when Gilles gave his soul to God--A flock of birds of all sorts came and fluttered around the window of his room and engaged in a melodious chirping, which lasted a few moments, enough for the people around the bed of Gilles to be fascinated and astonished by the sight, and afterwards report it.